Behind every great mentor is a great story waiting to be told. We’ve shared some of them here. For the fast facts and essential elements that led to the leadership successes of these supernovas, be sure to check in frequently on our featured mentors. There are those amongst us who are natural-born prodigies. 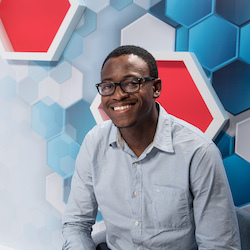 One such person is 28-year-old Ludwick Marishane, who single-handedly invented a biodiesel fuel, a ‘healthy’ cigarette, a mobile dictionary, and a biodegradable waterless ‘bath’ – all before the age of 17. He’s garnered enough global awards for a man twice his age, with an inclusion on TIME’s ‘30 People under 30 changing the World’ and Forbes’s ‘30 under 30 African Young Entrepreneurs’ lists. In 2011, he was rated the best student entrepreneur in the world, and Google named him one of the ‘12 Brightest Young Minds in the World’. But behind every great prodigy there’s a great mentor: in Ludwick’s case, his father, who trained him in the fine art of critical thinking from a young age. 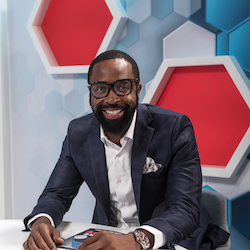 A self-confessed ‘hustler’, DJ Sbu grew up tough in Tembisa and found his voice while still a student, with a local radio show. Since then, that voice has taken him places: He founded an energy drink, MoFaya, co-launched his own radio station, Massiv Metro, which streams live around Jozi, and is a majority shareholder of Loko Flame vodka, which boasts flavours of the North West. He’s won awards and authored several books, most recently The Art of Hustling: Sell or Surrender. Sbu’s approach is hands-on: you make your own magic. “Nobody gives me a cheque. I fight every day to make it happen for myself.” And he’s making it happen for others with his Hustler’s Academy, providing entrepreneurial training to those who can’t afford an education. Once a diamond in the rough, Lebo overcame tremendous obstacles to establish the GEM (Gunguluza Enterprises and Media) Group, an integrated media and hospitality group. Lebo is a natural-born entrepreneur, turnaround strategist, motivation speaker and Dragon investor on SA’s Dragons’ Den. Because of his sheer charisma, vision and tenacity, he was one of South Africa’s youngest self-made black millionaires by the age of 27. And he did it without any funding, loans or tenders. Over the years he’s built up a multi-million-rand empire. He’s emphatic about starting one’s entrepreneurial journey at a young age. ‘Find out where your talents lie when you are young, so that you can make choices that hone your skills. Stacey started off with a BSc but won a scholarship for an entrepreneurship MBA at GIBS. Her thesis explored the notion of a sustainable financial model for low-fee private schools in SA. It was only a matter of time before her bright idea was translated into a brilliant solution to the shortage of quality, affordable education in SA. eAdvance and SPARK Schools were born, with Stacey and her co-founder driving systemic change in the industry. Stacey has since been recognised as the Elle Boss 2015, as one of the 2014 Mail & Guardian Top 200 South Africans, and is also a Mandela Washington Fellow. The SPARK blended learning model offers unlimited potential and, more importantly, is transferable to any community. Kate is a household name in SA. Both intrepid traveller and raconteur, she’s been on the road since World War II, when she was a child evacuee from London. A post-war trip to Paris at 14 cemented her wanderlust and, since then, she’s waltzed at dawn in Beijing Square, broken bread with Tibetan monks, dined with Cuban dissidents, and heard the stars sing in the Kalahari. She’s also hosted SA’s longest-running talk show, Believe It or Not, on 702, and was the first woman to be inducted into the MTN Radio Hall of Fame. As a veteran travel writer, she believes a flask of whisky and a good dose of Buddhist philosophy are all you need to take you places. Now in her 80s, Kate is not content to rest on her laurels. The world beckons. Nella, powerhouse and co-founder of Yabasha Energy Solutions and Africa Energy Capital is part of the sister act that is shaking up the renewable energy sector. Along with sister Zintle, and inspired by their pioneering dad, who is one of the leading solar equipment suppliers in SA, Nella is passionate about clean energy, youth empowerment and skills development, and formalising the township economy. This Queen of Green has a string of degrees behind her, and enough savvy to drive a wind turbine. Both energised and enterprising, she’s determined to forge a more inclusive green economy, aimed at black youth, and provide entrepreneurs with access to capital through their fund. Easy on the eye, and at ease in the world, Gil is co-CEO of The Creative Counsel (TCC). What started as a two-man outfit doing promos grew to become one of Africa’s largest advertising agency groups. But those who know Gil are unsurprised. Since his early days as a Zap Mag teen presenter, he’s always had a star quality about him. Relentless optimism fuels this wunderkind. That, and a penchant for stylish shoes. Since then he’s gone on to co-found LLH Capital, sits on the board for Kalon, one of SA’s biggest venture capital tech funds, and was a Shark on M-Net’s Shark Tank. He’s passionate about digitalising the African continent and promoting homegrown entrepreneurship. And he’s become something of a trend forecaster. Beauty and brains converge in this successful businesswoman, philanthropist, motivational speaker and brand ambassador. In between meeting her obligations to the boards of several international companies, she’s managed to clock five Midmar Mile swims. But for Amy, it’s always been about education in SA and its ability to transform lives. She’s established a nationwide, phone-in advisory service for teachers and learners, and she’s a patron of the Sunshine Association for the Disabled. Amy’s never shies away from hard work and believes that there are no shortcuts to success – you must be willing to put in the hours. She’s also a firm believer in face-to-face contact and knowing when to defer to the experts. Anthea’s parents were farmers, and so the seed of self-employment was planted in her at a very young age. Since then, she’s embarked on a vertical career curve that has seen her become a highly sought-after business coach and international speaker. She self-published a motivational book, Nothing is Impossible, which sold over 1 000 copies in the first month by word-of-mouth. She is the founder of Anansi Training, an entrepreneurial training hub. She started a social enterprise called AfriCAN Child: Your Time is Now, which focuses on youth and women empowerment. When she’s not at home with her husband and busy pre-schooler, you’ll find her kick-boxing, walking on hot coals or cut glass, and dancing. With a B Arch and an MBA behind him, Anthony is the director of The Paragon Group and perfectly poised to produce more than just pretty buildings, but rather lifestyle spaces. With beauties like the Sasol building in Sandton and the Alice Lane Development to their name, Anthony and the Group are totally invested in the South African skyline. Anthony’s management style is firmly hands-on, with continuous interaction and engagement with clients. But his engagement goes beyond clients to the students that he mentors at UJ and Wits, where he’s also an external examiner. He co-created a separate fully black-owned entity – Paragon Architects South Africa – and the Group offers bursaries to aspiring students.